What I write in this post is purely from my own experiences. I am not a financial guru. I am not a financial ninja. I do not have a podcast. I do not do interviews or guest posts. I am passionate about my full time job as VP, Digital Marketing. I am a money moron. If you want some major slap to the head moments, check out the beginnings of a money moron. I graduated from a Big 10 university with a degree in Business Management majoring in Marketing. I attended as an out of state student. I knew I wanted to continue in the marketing field, so I got a job as a marketing analyst including launching direct mail campaigns for a Fortune 50 company. I took out both federal student loans and private student loans for all 4 years of college. During high school I knew I wanted to go to a university with an undergraduate program that had a good marketing program. What I did not consider were the costs. Rather than applying for scholarships, I used that precious time to…I do not even know what. I just figured with loans, I can get through college. Review, write down, and have an honest conversation with you and others about the costs of both in state and out of state tuition, books, and room and board. Create a spreadsheet and digest those numbers. Think about how you will fund those expenses and have an honest conversation with yourself and your guardian (parents). Do not think that taking out federal student loans and private loans to fund your education is the way to go. Learn from me it is a perfect way to get started with your financial ruin. 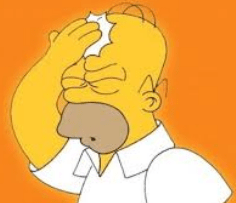 Money Moron Moment: rather than staying in my own state, I wanted to go out of state. I tell myself that it was because I wanted to be independent and I wanted to broaden my horizons. There is truth to that. However, I did not take the costs to attend out of state very seriously let alone the cost of college in general. Hard to think that $40,000 a year of out of state tuition cannot be taken seriously, right? 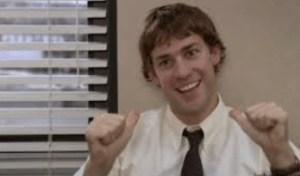 Well who has two thumbs and did not think about the future financial consequences….this guy (no, I am not Jim Halpert or look anything like John Krasinski. Jim was actually way more financially savvy. Remember that scene when he bought his parent’s house despite some needed upgrades?). 2. If you are a student, apply for scholarships like it is a full time job. It should be your full time job. No excuses if you have a part time gig. 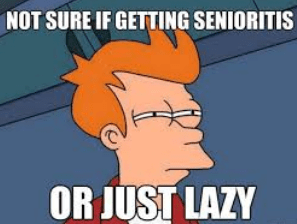 Assuming you have no erroneous circumstances as a student such as having to support your own family, I would quit the part time job and focus on applying for scholarships. 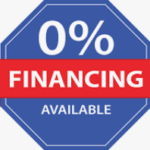 You want to take out as little federal student loans or private loans as possible. Money Moron Moment: I had a part time job at the library and at certain points working through a temp agency that placed jobs. Even then it never occurred to me that I should save up that money for college. I do not even remember how I wasted that money I earned in my teens. I did not take scholarships seriously. I would apply to scholarships maybe twice a month and the routine got old quick. The process was tedious and cumbersome, so I slacked off. I took “senioritis” very seriously. 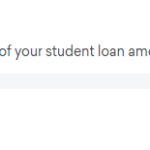 I paid the price and continue to pay the price in taking out massive student loans because I thought that my teenage years were better doing something else. 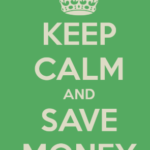 Use the time you have to apply for as many scholarships (not ones with scholarship fees) as you can. You want to reduce as much student loans as possible. 3. If you are mature enough to know the pitfalls of student loans, reconsider jumping to a 4 year university and make sure you have a long term school plan. There is no written rule that says you have to go to a 4 year college right out of high school. A suggestion to consider is to take a year off to go to a community college and knocking out those required core classes. Make sure those credit from community college is transferable to your end goal of graduating from a 4 year college. Money Moron Moment: I just jumped straight into college and took out student loans to fund my entire education. Core classes I took at the university such as Calculus, Intro to Accounting, and some other classes I cannot think of right now could have been transferred. Smart move, right? 4. If you plan to take out student loans, ask yourself if you are willing to work while going to school. It can take a toll. This is not for some. For me I should have worked part time, but (insert more excuses here). Chances are you will have to take out student loans so minimize the damage in your future by considering working part time while going to school. Again, this is not for all. Money Moron Moment: Working while studying? Pass! Just focusing on studying did not even result in straight A’s. What a mistake. I still struggled…mightily…especially that Accounting class. I will drop a hint that the university was well known on campus for that Intro to Accounting Class being a weed out class. 8AM class and brutally boring for your freshman year will eliminate half the class returning. Check and check. 5. Hustle. If you do not want to work at your local retail store or restaurant, find a side hustle. Take a risk. “Back when” I was going to school, I had Napster and eBay. That resulted in some opportunities to resell. I will not divulge further information. Maybe you can piece two and two together. Nowadays there are so many opportunities for a side hustle, it is laughable not to…in my opinion. You have a skill. Leverage it. Age has nothing to do with it. Everyone started from the ground level to build experience. Money Moron Moment: As mentioned, I had a small side hustle on eBay. It was actually nice money, but of course as the Chief Money Moron, I used that money to buy more sports collectibles instead of saving up or paying back student loans. 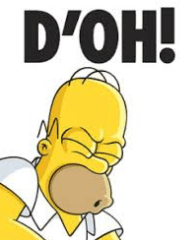 On a scale of 1-10, how cringe worthy or “d’oh” worthy were my money moron moments?